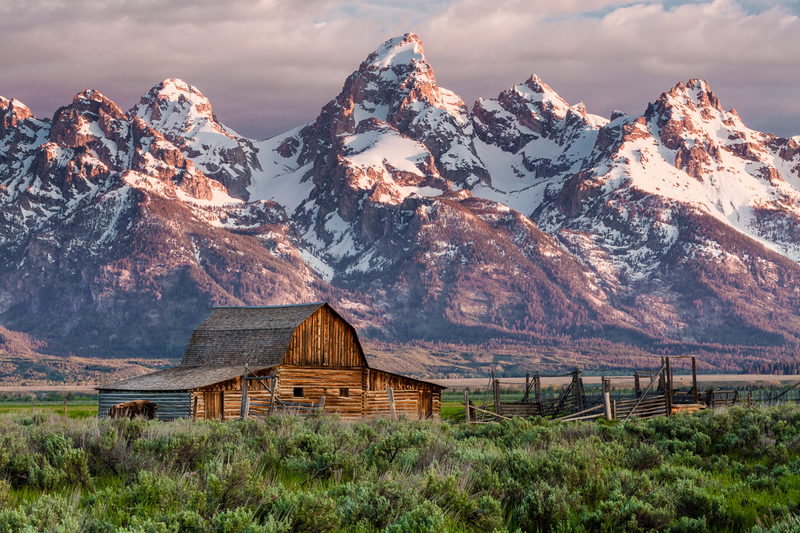 This remains one of my favorite images from Grand Teton National Park. I woke early on this morning to get this image just as the sun rose. I knew that I wanted to compress the mountains and barn using a long focal length (approximately 100mm) to make the somewhat distant mountains appear much closer to the barn than they actually are. The gentle light on the snow-capped peaks was magical.